A Proud Affiliate of Middlesex Hospital. Serving Greater Middlesex County for over 30 years. 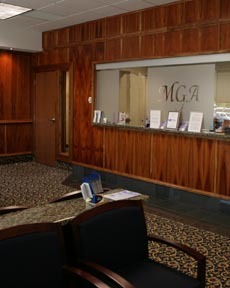 Middlesex Gastroenterology Associates (MGA) is a team of board-certified physicians specializing in the diagnosis and management of various digestive and liver diseases. Our state-of-the-art facilities are designed to provide our patients with treatment options tailored to meet their needs and comfort. Our mission is to deliver compassionate, high-quality care. We accept a variety of health plans. Call our office for more information.